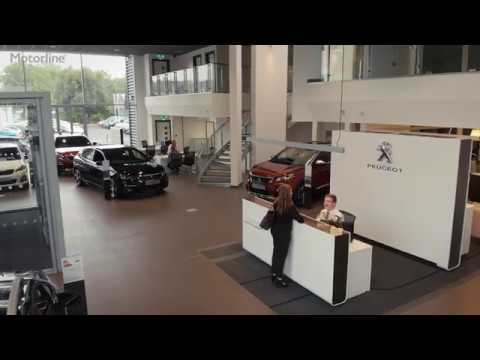 At Peugeot Canterbury, you’ll discover a full range of fine automobiles produced by the distinguished French marque. We feature stylish hatchbacks such as the 308, compact SUVs like the 3008 and practical MPVs such as the 5008. If you fancy going all-electric, how about the super-cute iOn? We stock vans too, from the car-like Bipper, to the full-size Boxer. At our Broad Oak premises, you’ll also find a wide selection of Approved Used Peugeot vehicles. Each has been carefully selected and exhaustively tested, ensuring that it offers even greater value for money. We also provide first-class service and repair options, and at an always-affordable price. In addition, we run money-saving offers across our range of products, benefiting private motorists, Motability customers and business users alike. Open daily, our modern showroom on Broad Oak Road (CT2 7PX) is easy to access from the A299, A28 and A2, and is just a short distance from Canterbury city centre. Don’t hesitate to call us on 01227 213382 . To book a service appointment, phone 01227 213375 .